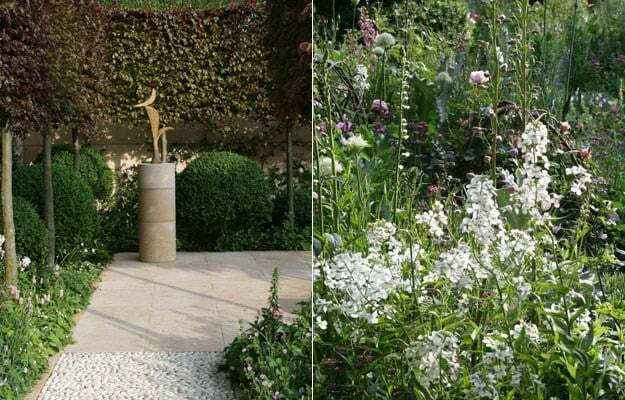 Arne’s gardens always have lovely structural elements, and this is no exception. 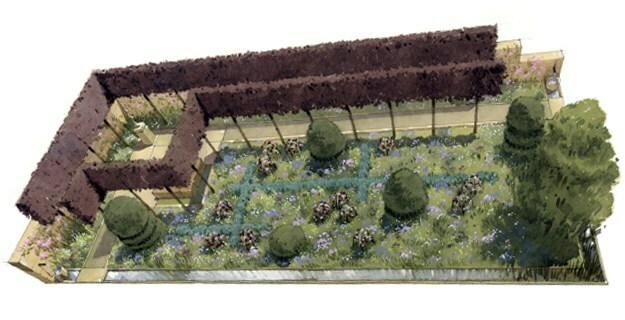 His signature copper beach is used in pleached form and frames the main avenue and enclosure. 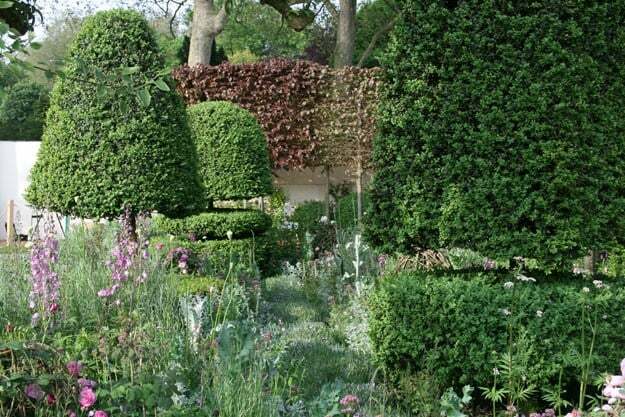 Box topiary provides punctuation and vertical softness whilst hazel structures provide a natural foil for the roses. 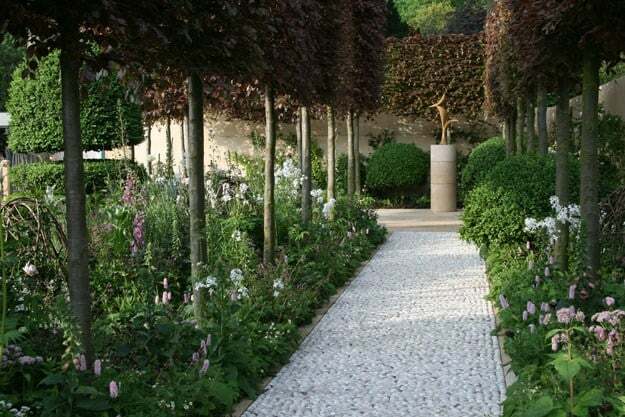 His choice of perennials will delight the sense as much as the eye as this is a deliciously scented garden in shades of pink and claret. 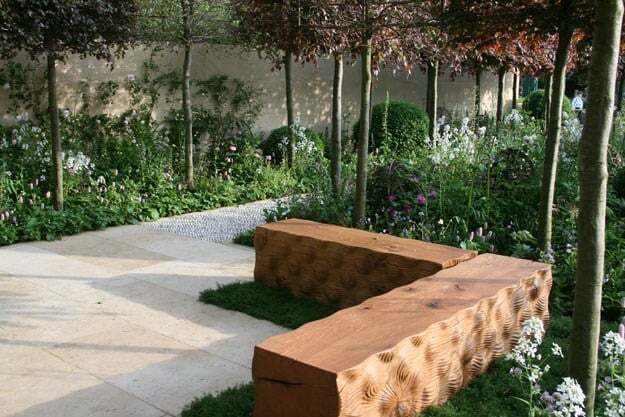 Arne says ‘ I wanted to make this garden one that people can draw ideas from’. It is bound to be a big hit with the public and, hopefully, the judges as well.